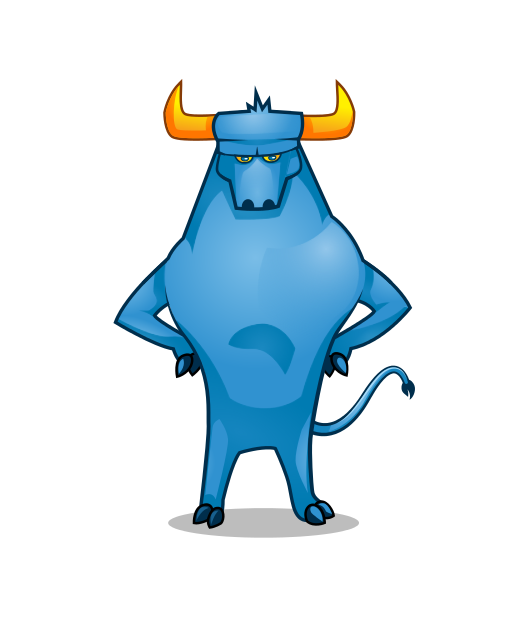 That's just a brief post about a recent change in the way that Toro migrates threads. Previously, when a Thread running in core #0 wanted create a new Thread in core #1, function ThreadCreate allocated the TThread structure, TLS and the Stack then, It migrated the whole TThread structure to the core #1. The main problem in this mechanism was that all memories block were allocated in parent core. This is a serious infraction in the NUMA model: TThread, TLS and the Stack are not already local memory. Thus, I rewrote the way that Threads are migrated. When a Thread wants to create a new one remotely, Toro still invokes ThreadCreate BUT it is executed in the remote core. Instance of migrate the TThread structure, now Toro migrates a set of arguments to be passed toward ThreadCreate. When ThreadCreate finishes, the parent thread retrieve the TThreadID value or nil if it fails. As we can see, while a local thread is made immediately when ThreadCreate is invoked, a remote thread spend two steps of latency: one for migrate the parameters and other for retrieve the result. I am not sure about problem but I suppose it's about register size. When the virtual machine jumps from real mode to long/protect mode, the register size changes but GDB doesn't know that. Thus, when GDB receives a bigger packet than it expects, it fails. Therefore, The patch just increments the buffer in those cases. The first step is to download GDB 7.3 from http://www.gnu.org/s/gdb/download/, I've implemented the patch on 7.3 version but I think it works in oldest too. After compilation, the binary could be found in gdb-7.3/gdb/gdb, It must be enough to run GDB correctly. Toro will be shown in the Microelectronic Conference at University of La Plata, Argentina. In the work that I've done I will show the kernel capabilities and a few tests comparing Toro with a general purpose operative system. The conference will be the 8th of September in "Sala A" at 16.20hs. How can I start it?. The bootloader is a project itself, if you want to write a hobby OS you do not have to start from the bootloader. First, It will take you a lot of time, second, it is too hard to debug so you will become disappointed fast and you wont finish. I think that the important and interested things happens inside the kernel. Anyway, there are a few crazy guys that they want to make one. For that kind of guys, I have just started to write a few documentation about Toro's bootloader in the wiki. I hope that you find it interesting and appreciate the effort done (Yes, I don't like to write documentation but I know that it is too important ;) ). I have just started the implementation of e1000 driver like Intel Gigabit or compatible. I am using Minix 3 source and qemu as an emulator (Begin 0.12.0 version it supports e1000 emulator). The detection procedure is complete as you can see in the picture, It is uploaded to SVN. Continuation of the article Memory organization in a multicore system. In a NUMA system the processors have assigned a memory region, it access more fastly that others to it, however every procesor can access to every memory position. It is used message passing to remote memory access. The programmer see a continuos memory space and the hardware makes that abstraction. The first one in the NUMA tecnology was Sequent Computer Systems. They introduced NUMA at '90. Afterwards it was acquired by IBM and the tecnology was implemented in Power processors. In other way, IBM made it own NUMA implementation called SE (Shared Everything). This implementation is presented in Power6 processors. The Intel NUMA implementation is called QuickPath Interconnect. It allows to share memory between the processors and it is transparent for the Operative System. Each processor has a point to point controller. AMD implementation uses fast links called "Hypertransport Links". In this implementation each procesor has a memory controller and a local memory. The processors are connected between them through a coherent Hypertransport link. Futhermore, each processor has a bi-directional no-coherent bus for IO devices. Using Point-to-Point controller, the processor can access to memory region more fastly than other and there is an important latency if it tray to access to remote memory. In this way, we have two kind of memory: Local Memory and Remote. This paper is a part of the final project called "Parallel Algorithm with TORO kernel", Electronic Engineering, Universidad Nacional de La Plata. In the next months I will publish more papers about my final project. Enjoy! Actually, the "Uniform memory access" is the common way to access the memory (See SMP). In this kind of arquitecture, every processor can read every byte of memory, and the processors are independent. In this case, a shared bus is used and the processors compite but only one can write or read. In this environments just one processor can access to a byte in a gived time. For the programmers the memory access is transparent. In 1992 Intel made the first SMP processor called Pentium PRO. And the memory bus was called Front Side Bus. That is a bi-directional bus, it is too simple and very cheap, and in theory it scales well. The next intel step was partition the FSB in two independent bus, but the cache coherency was a bootle-neck. In 2007 it was implemented a bus per processor. This kind of architecture is used by Atom, Celeron, Pentium and Core2 of intel. In a system with many cores, the traffic through the FSB is heavy. The FSB doesn´t scale and it has a limit of 16 processor per bus. So the FSB is wall for the new multicores technology. We can have CPU that it executes instructions fastly but we waste time if we can´t make the capture and decodification fastly. In the best case, we lose one cycle more reading from the memory.